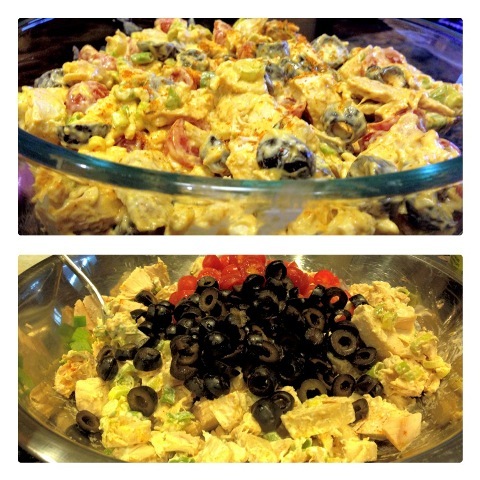 This fiesta style chicken salad is a great way to combine Mexican flavors with an old fashioned dish. I believe I will make this on my next batch cook day… Pair this with some leafy greens or some carrots and celery. Sounds like an easy Grab ‘n Go lunch to me!! You can use fresh cooked chicken breast or you can buy canned chicken breast. You could even make this with tuna instead of chicken. 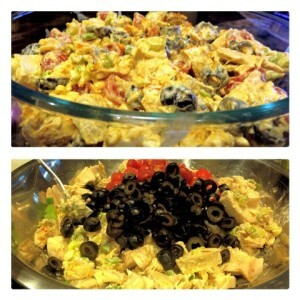 In a large bowl, combine all chicken, olives, green onions, and tomatoes. Stir in the taco seasoning and olive oil mayo. Top with reduced fat shredded cheese, if desired. It's that easy! !